Silverstone Auctions will once again host their Restoration show sale in 2016. In keeping with the Practical Classics Restoration show theme, the auction focuses on restoration projects and barn-finds. NEC Restoration Show Sale 2016 – What’s on? 70 cars will be going under the hammer in Silverstone Auctions’ sale at the Practical Classics Restoration Show and Classic Car Show including classic cars, modern supercars through to exciting barn finds and restoration projects. Let’s have a look at some of the cars going under the hammer that caught our eye. One of the first cars confirmed at the Restoration Show sale was this 1999 Lamborghini Diablo SV. The car is believed to be the very last Lamborghini to leave the Sant’Agata factory before Volkswagen took full control, the last Diablo imported into the UK and the last Diablo SV off the production line. An important piece of Lamborghini history then! ‘V12 SVR’ left the factory on the 21st of December in 1999 immediately before Lamborghini shut down for the Christmas break and celebrated the end of the Century. This right-hand drive example has covered just over 32,000 miles from new and is finished in what Silverstone Auctions believe may well be a unique colour combination of Pearl Red/Orange combined with a grey/black leather/alcantara interior. This Lamborghini Diablo SV is still very original, with the tool roll and all tools present. 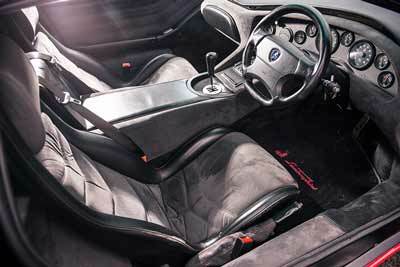 The car also comes with a custom-made, fleece-lined indoor car cover in red with embroidered Lamborghini logo (a nice touch). The cars condition is described as amazing and in 2013 the Diablo received chassis and suspension restoration costing over £10,000! A full geometry set-up was carried out by Grimaldi Engineering in 2013. The car has been recently serviced and comes with an MoT (January 2016). 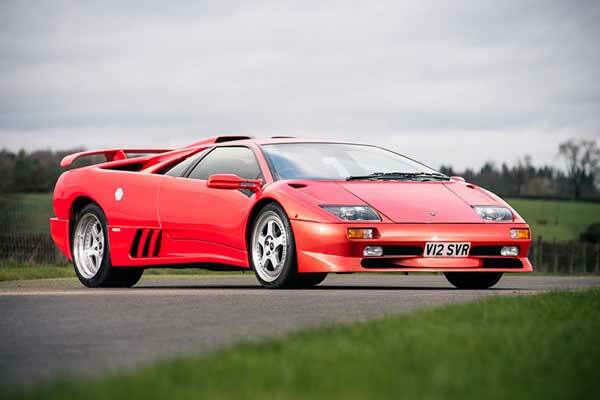 The Diablo is estimated to sell between £150,000 and £170,000. If correct this looks like a good buy, considering the rarity and importance of the car. 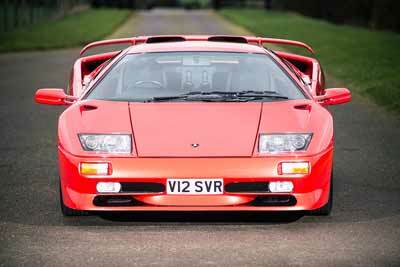 With Lamborghini Countach prices very much on the rise, it’s successor – the Diablo looks like good value in comparison. From Sant Agata to Stuttgart. Another car to watch at the sale is this 2011 Porsche 911 GT3 RS 4.0, one of only 600 examples made and the last of the Mezger engined Porsches. 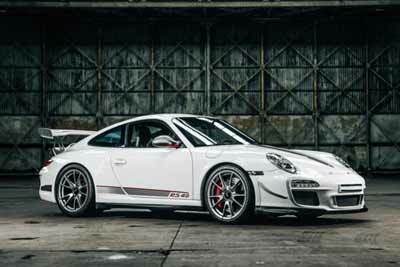 The 911 GT3 RS 4.o is estimated to sell between £250,000 and £300,000, and with 911 prices so strong right now the car will undoubtedly be watched closely by Porsche collectors. Enthusiasts looking for a classic car that’s a little more rugged might like this, extremely rare, 1950 Land Rover Series I Station Wagon Coachwork by Tickford. Which is estimated to sell between £35,000 and £40,000. 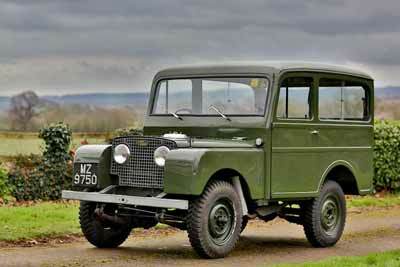 Land Rover fans will also be interested in another Land Rover for sale a 1948 Series I Chassis #149. This is one of the oldest Land Rovers in existence. The car has been sympathetically restored by the vendor, comes in the correct Sage Green and is estimated to sell between £27,000 and £32,000. This 1985 Aston Martin Lagonda was specially built by the company for the 1986 New York Motor Show. The left-hand drive car was displayed on the Aston Martin stand and sold shortly after to a Mr J. Schnepf of Newport Beach, California. The car covered a limited mileage under his ownership before it was imported to the Netherlands and registered there prior to the current owner’s purchase. The car was then taken to Aston Martin Specialist Desmond J Smail, where it has received a comprehensive recommissioning. With the launch of the Lagonda Taraf last year, there has been renewed interest in William Town’s 1970s Lagonda wedge-design (has the car finally become fashionable?) 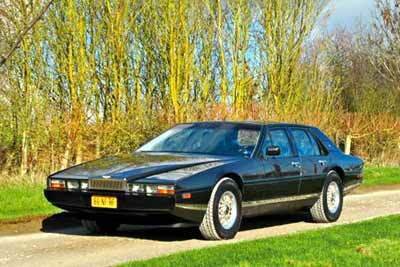 and this 1985 Lagonda is offered for sale at an estimate of between £80,000 and £100,000. It wouldn’t be the restoration show without a number of interesting projects going under the hammer. An original UK right-hand drive, matching numbers 1978 Aston Martin V8 Series III is offered as a non-running project, the perfect candidate for a full restoration and estimated at between £45,000 and £55,000. A very rare 1963 ISO Rivolta GT restoration project is offered at no reserve, while an original UK 1959 Facel Vega HK500 barnfind is estimated at between £45,000 and £55,000. The Silverstone Auctions NEC Restoration show sale 2016 takes place at Birmingham’s NEC Arena on 6th March as part of the Practical Classics Restoration Show. For more information about Silverstone Auctions’ sale at the Practical Classics Restoration and Classic Car Show please visit The Organiser website.